Summer is over, so where did royals, celebrities and top sports people spend their holidays? Plenty of A-listers chose to relax on the classy Balearic island, Majorca, and some were so taken with its sun-drenched shores they purchased property here. The island of Majorca has long been a popular haunt for celebrities. Even as far back as the 19th-century, Polish composer Frederic Chopin and French novelist George Sand made their home there for a winter in the beautiful district of Valldemossa. The poet and novelist Robert Graves took his family to live in Deià on the island’s northern coast after the First World War. While Agatha Christie, Grace Kelly and Sir Winston Churchill all spent holidays on the island. Today Majorca continues to attract some of the most famous faces on the planet, so let’s take a celebrity tour around the island. Just 15 minutes’ drive from the capital, Palma, lies Puerto Portals, Majorca’s most exclusive harbour. Celebrity spotting is something of a pastime on the town’s small beach and down at the world-class marina, such is its popularity with the glitterati. Among those who spent the summer there are Peter Stringfellow and TV stars Anthea Turner, Steve McFadden and Claire Sweeney, some having bought property, others on their yachts. Former American First Lady Michelle Obama was snapped here earlier this month enjoying life on a luxury yacht, in the same harbour that crooner Rod Stewart moors his yacht on frequent visits to the island. Michael Douglas and Catherine Zeta-Jones own a large estate between Deià and Valldemossa. Deià itself is a small village high up in the Tramuntana mountains, with spectacular views of the coastline below. The luxury hotel and spa Belmond La Residencia has long been favoured by many famous people including the late Princess Diana, Harrison Ford, Jamie Oliver and actress Goldie Hawn. German model, Claudia Schiffer and her husband, visits her luxurious 400,000 square metre home in Camp de Mar every August without fail. This exclusive estate offers luxury living away from the prying lenses of the paparazzi. If you want to purchase a pad with the wow factor in Spain, knowing how to negotiate for your property should get you a little more house for your money! Download our guide to getting your Bargain Home Abroad. Manacor is the island’s second city and birthplace of world number one world tennis player and winner of 16 Grand Slam titles, Rafael Nadal. He often returns to his hometown to visit his family. Rafa Nadal has done much for Manacor in recent years, opening an international tennis academy and an ultra-modern sports centre, as well as helping deprived children on the island through his foundation. Superstar actor Brad Pitt has purchased a luxury bachelor pad in the ancient town of Andratx, after falling in love with the Balearic Islands while filming “Allied” there. The town is 35 minutes’ drive from Palma airport and still retains its original fishing village authenticity. American actor Brad Pitt has purchased a luxury bachelor pad in the ancient town of Andratx. Located to the west of Palma, Cala Major is home to the Spanish royal family’s traditional summer holiday residence, Marivent Palace. King Felipe VI and Queen Letizia continue to spend part of the summer here with their two daughters, Princess Sofia and Princess Leonor. 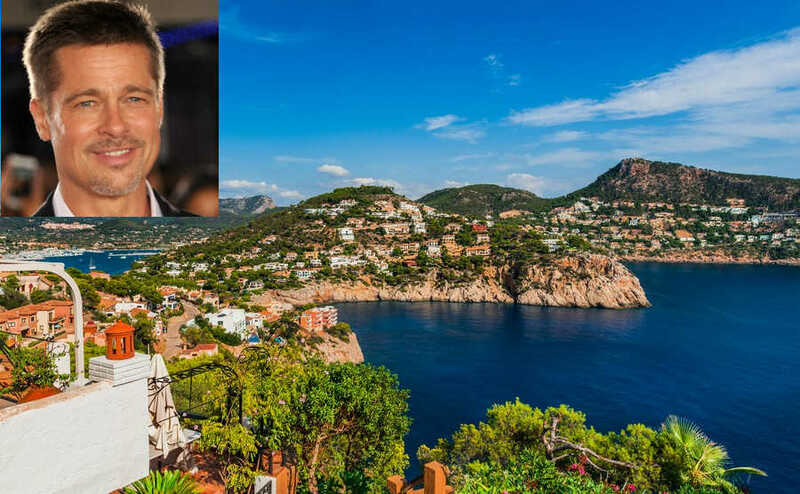 Last year Sir Richard Branson bought back a spectacular 400-acre mountain estate in Banyalbufar, 13 years after he sold it following a row over planning permission. He aims to revive plans to turn the estate into a five star eco-resort. 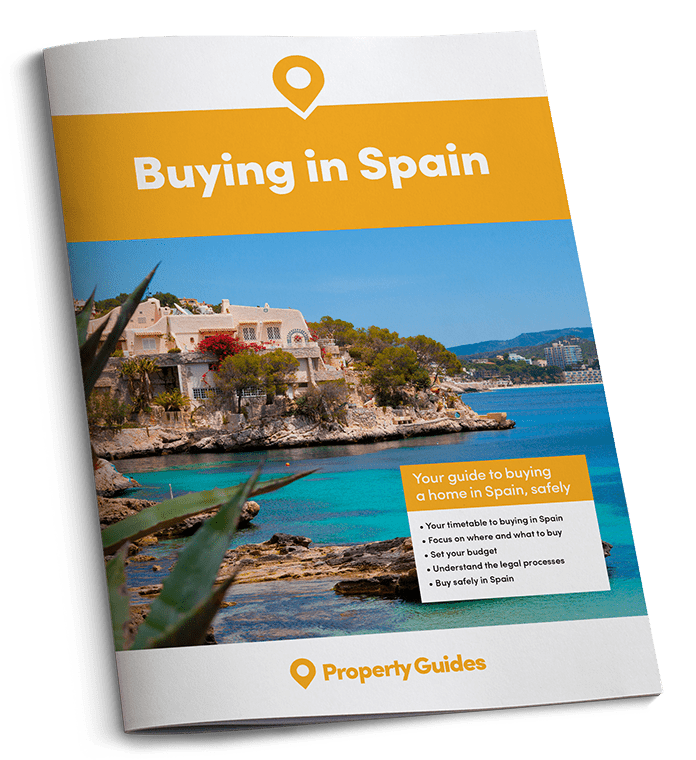 If you are planning a high-value property purchase, Spain Property Guide is a partner of one of the most trusted solicitors working in the upmarket property sector. 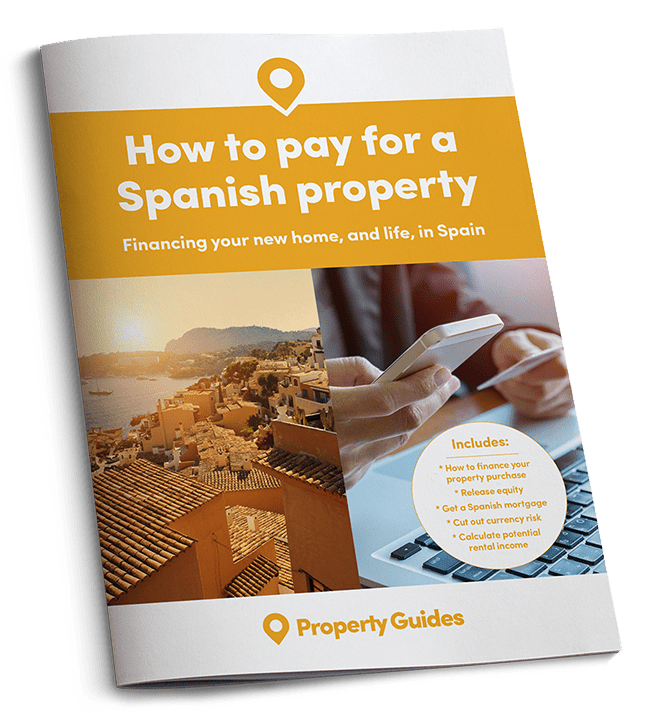 Call 020 7898 0549 or email Spain@propertyguides.com to be put in touch.